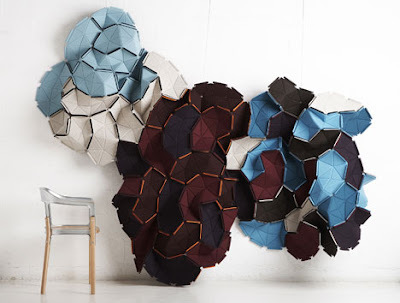 Clouds by Ronan and Erwan Bouroullec are an extension of the North Tiles they developed for Kvadrat in 2006. 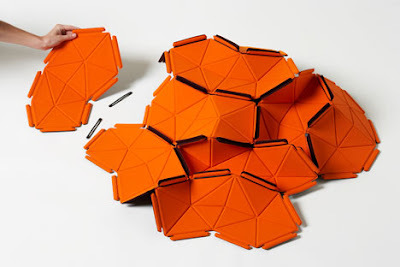 "The tiles are made of one element and are attached by special rubber bands. 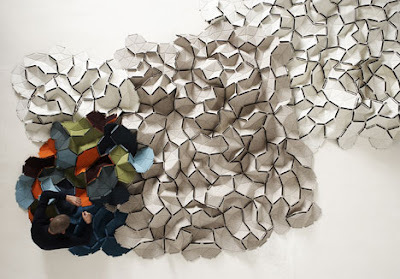 Creating your own piece is quick and easy, whether you want a simple design or a complex decorative screen or wall. You can easily arrange and re-arrange the tiles to reflect your individual style and bring new ideas into your home, time and time again."